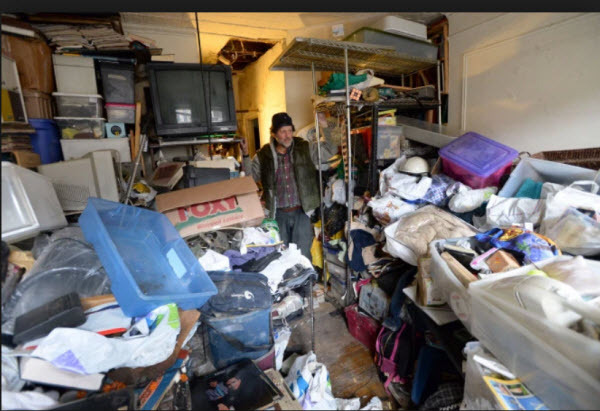 Hoarding all kinds of things is a serious symptom of dementia and Alzheimer’s disease. The dementia sufferer will hide items all around the house and then start looking for them. The problem is their memory is shot and they don’t remember where they put the items. Indeed, it is not unusual for someone with Alzheimer’s or any type of dementia to start searching through cabinets, drawers, closets, the refrigerator, and other places where things are stored. He or she also will hide items around the house. Although it can be dangerous, there are ways to allow the person to participate in this behavior safely. One safety option is to create a special place where the person with Alzheimer’s can rummage freely or sort things. This could be a chest of drawers, a bag of objects, or a basket of clothing to fold or unfold. Give him or her a personal box, chest, or cupboard to store special objects. You may have to remind the person where to find his or her personal storage place. Lock up dangerous or toxic products.